Was the sovereign debt crisis in Europe due to weak fundamentals or to coordinated expectations? Professor Pedro Teles, full professor at Católica Lisbon School of Business & Economics, senior economist to the Banco de Portugal, research fellow at the Centre for Economic Policy Research and member of the ADEMU steering committee, examines the evidence. Following the financial crisis, already ten years old, Europe was hit by a severe sovereign debt crisis that challenged the European institutions. Should the European Central Bank respond to the crisis with the powerful tools of monetary issuance? Or should instead the response to the crisis be left to the fragile European fiscal institutions? At the heart of these questions is the issue of whether the sovereign debt crisis in Europe was due to weak fundamentals or to coordinated expectations. Whether the answer is fundamentals or expectations could mean either that the ECB was right in intervening massively, targeting low sovereign debt spreads, or the German Constitutional Court was right in questioning that same intervention. The answer may very well be that both fundamentals and expectations are to blame. But the ECB may be the one that was right in intervening. After the financial crisis, in 2010, when spreads spiked, fundamentals for all European countries were certainly weaker than they were in 2007: Three years of budget deficits as high as 10% of GDP, implicit public guarantees on an ailing banking system, sovereign debt previously hidden in public companies or public-private partnerships, adding to the official numbers. But was there also a role for expectations? How much of the crisis could have been caused by coordinated expectations on default? The literature on sovereign debt crises has come up with two main ways in which expectations may matter. One of those is liquidity. Governments issue short-term debt, and they have long-term assets, their entitlement to tax revenues. This maturity mismatch could just like in the case of a bank run induce a run on sovereign debt. This is a Cole and Kehoe (2000) type crisis. Another type of self-fulfilling crisis is in a model by Calvo (1988). In that model, a country defaults if the service of debt is too high. For given current debt, if the rates are high, the service of the debt will be high, which will induce default, confirming the high rates. If instead, the rates are low, the service will be low and default will be unlikely, also confirming the low rates. This is a compelling explanation of self-fulfilling crises. But it is actually hard to model those crises in a way that is not disturbingly fragile. The first main challenge to the multiplicity in Calvo is that the quantitative models of Aguiar and Gopinath (2006) or Arellano (2008) that take a similar structure to the one in Calvo actually compute a single equilibrium. The reason why Calvo finds multiplicity and these other models find uniqueness is in the details of the game between borrower and lenders. If borrower and lenders play Nash, or the lenders move first, there are always multiple equilibria. If instead the borrower moves first and picks debt at maturity gross of interest, then there is a single equilibrium. The reason for this is that by committing to a level of debt gross of interest, the borrower is picking the probability of default and therefore the interest rate. But if the borrower picks current debt, net of interest, then, again, there are multiple equilibria. What is the right timing and what are the right actions for the players? No way to tell. Data cannot really help on this. At least this data cannot. But the large swings in spreads and the effect of a mere statement of intentions by Mario Draghi are good evidence of multiplicity. There are other fragilities in Calvo’s high interest rate equilibria. They look too much like bad Laffer curve equilibria that could be easily dismissed. But they are much harder to dismiss if the world is one with good and bad times, with long periods of high growth followed by long periods of stagnation. If this is the world we live in, and data (and some casual observation) seem to confirm it, there are high and low rate equilibria that are equally robust. The intuition for this is just too hard to explain in a few sentences, but is discussed in my paper Sovereign Default: The Role of Expectations with Ayres, Navarro and Nicolini, published in the ADEMU Working Paper Series and forthcoming in the Journal of Economic Theory. The bottom line is that countries that enter long stagnations are likely to default and multiplicity plays an important role. Instead, countries that are growing are likely to continue growing, probabilities of default are low, and there is no multiplicity. Portugal faced a 15 year long stagnation, before and through the crisis, and debt was high and went up. What this model would say is that multiplicity is very likely in Portugal, and fundamentals do play an important role. These are questions that we ask in the forthcoming ADEMU paper Self-Fulfilling Debt Crises with Long Stagnations, with João Ayres, Gaston Navarro and Juan Pablo Nicolini. 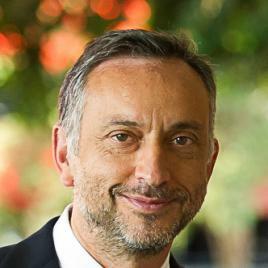 Pedro Teles is a member of the ADEMU steering committee. He holds a PhD in Economics (University of Chicago) and a degree in Economics (UCP). He is full professor at Católica Lisbon School of Business & Economics, researcher at Banco de Portugal and research fellow at CEPR. Between 2001 and 2004 he was senior economist of the Research Department of the Federal Reserve Bank of Chicago. He has lectured in the doctoral programs of Universitat Pompeu Fabra (Barcelona) and University College London. His research activity has focused on several fiscal and monetary policy issues, including the optimality of the Friedman rule, inter-temporal consistency of policies, stabilization policies and optimal currency zones. Aguiar, M. and G. Gopinath. 2006. “Defaultable Debt, Interest Rates and the Current Account,” Journal of International Economics 69, 64–83. Arellano, C. 2008. “Default Risk and Income Fluctuations in Emerging Economies,” American Economic Review 98, 690–712. Ayres, J., G. Navarro, J. P. Nicolini, and P. Teles. 2017. “Sovereign Default: The Role of Expectations,” ADEMU Working Paper: 2016/025, forthcoming Journal of Economic Theory. Ayres, J., G. Navarro, J. P. Nicolini, and P. Teles. 2015. “Self-Fulfilling Debt Crises with Long Stagnations”, forthcoming, ADEMU Working Paper Series. Calvo, G. A. 1988. “Servicing the Public Debt: The Role of Expectations,” American Economic Review 78, 647–661. Cole, H. L. and T. J. Kehoe. 2000. “Self-Fulfilling Debt Crises,” Review of Economic Studies 67, 91–116. This entry was posted in Perspectives on November 30, 2017 by ADEMU.